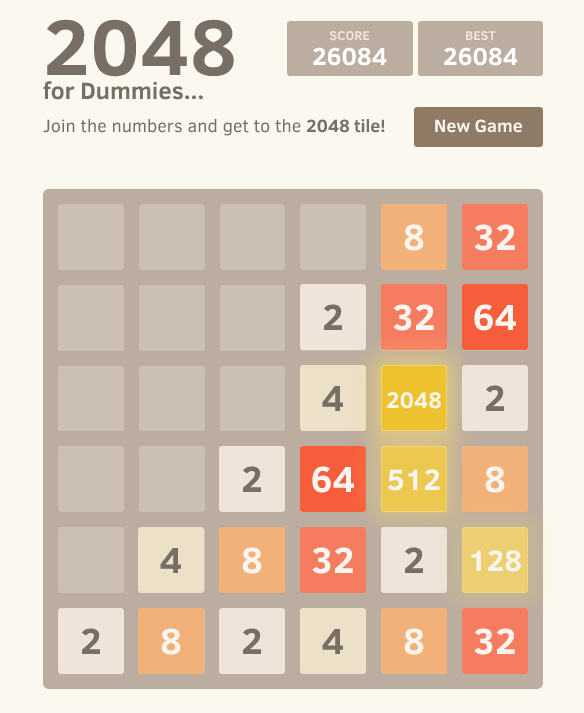 Thanks to this clone, you will be able to play the game and, without cheating, or spending hours playing it, achieve quickly and easily a 2048 or even more... No solution, but finally a grid where you will feel "at ease". You're free to go back afterwards to a more classic version. To summarize, an easy, playful, quick version to play and eventually a learning method.